I’ve just gone and done something. 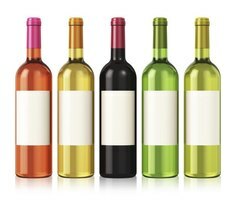 I’ve signed up to receive 9 bottles of wine from Naked Wines! In the next 3-4 days, I will receive my box of vino and get straight to business (a tough job) reviewing each bottle with you! Want to try this with me? I’ve attached a sweet deal for you to get $100 off a 12 case of wine – just click below! Get $100 off a 12 bottle case! Get $50 off a 6 pack! With all this great- tasting wines, you’re gonna need a fridge – Check out these LARGE Wine Fridges! Having this financial backing in place, these winemakers ensure a quality product. NakedWines.com investments cuts out the middleman, slashes the costs of labels, bottles and corks (the wine is bought in barrels), and guarantees a quality wine without any artificial enzymes added. This ‘Angel’ money is used to invest in independent winemakers. You can find out more about the winemakers you’re investing in too! Winemaker Tom Shula started off as an ‘Angel’ and began making his own wine in his garage. Tom’s passions led him to start his own winemaking business and now his wines are showcased and enjoyed by thousands of Naked Wines patrons! If you’re a wine afficiando, connoisseur, or ya just like wine straight and simple then you might just benefit from this program that Naked Wines has established. In fact, not only do you benefit from wholesale wine prices, but the vineyard growers themselves benefit as well.